Have my own dilemma regarding which vintage Vostock from a private seller in Ukraine. I believe they're both 40mm and I've asked the seller if the crackle effect on the green dial is intentional. 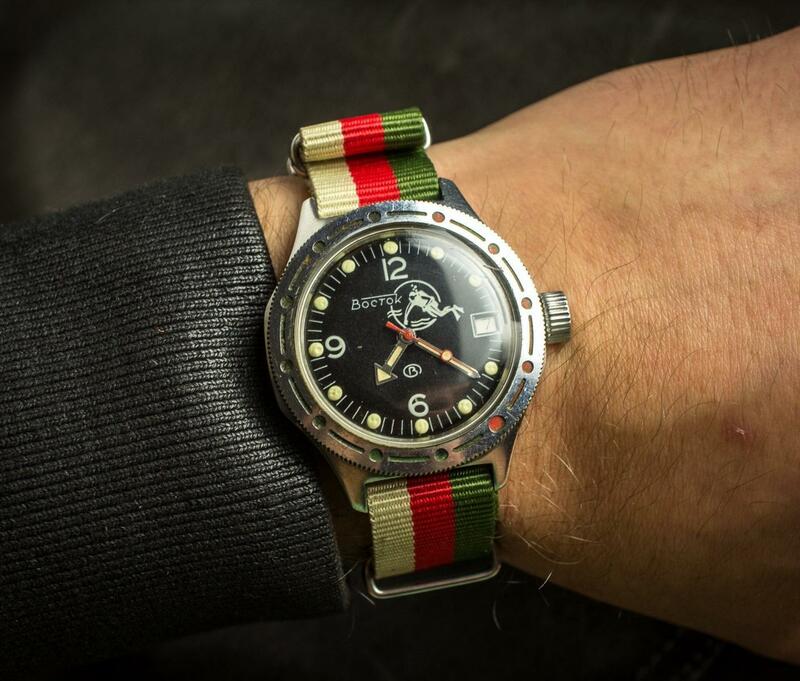 He just replied saying the "The dial of the original has a beautiful patina" Very similar in price and the green dial has original bracelet where as black dial has replacement NATO. 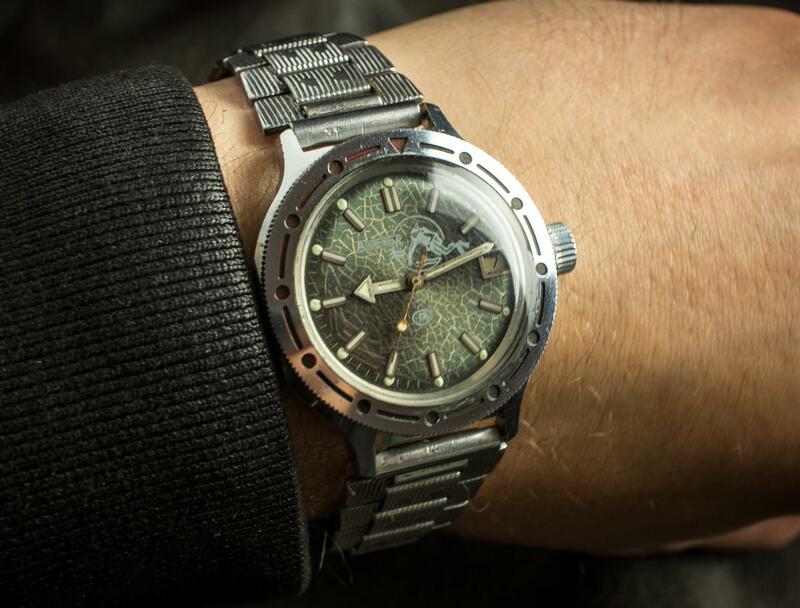 I've seen other vintage Vostoks with that crackle effect on the dial and I could be wrong but I believe it's the way they aged. The applied top dial color appears to have shrunken and cracked on these examples. EDIT: If that is an actual "original bracelet" on the second watch, (which seems questionable), that separates it form the later, rather ubiquitous scuba dude watch above. Last edited by enricosonic; 03-18-2019 at 10:34 PM. out in a crowd, and still manages to be 100% original, and classic sir. Both very cool but the oxidation on the hands would have me worried about water intrusion. I might have to go for the black dial. Crackles all around the diver logo but none (apparently) affect the logo itself. Seems a bit contrived.